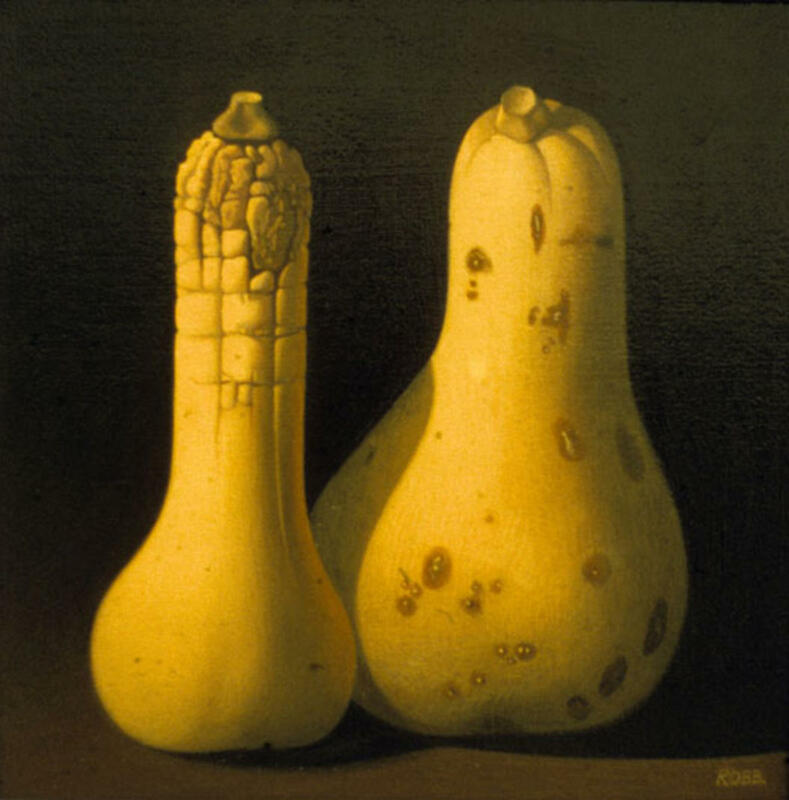 The squashes sat in my studio until they began to corrupt from the inside. Then they became paintable. They were chosen originally as a salute to the American Painter Gregory Gillespie.